There I was. I maneuvered myself in this situation on purpose unknowingly following the first rule for starting a bicycle tour: Just tell everyone that you are going on a bicycle tour. Repeat it. Until they believe you. You don’t have to believe that you are capable of doing it. You just keep telling it to your friends, your crush, your workmates, your family (last to them, they’ll worry too much)… and then, all of a sudden, you are committed. So that happened to me. I told everyone that I was going to quit my job to go on a six month bicycle tour. Now I had to go. 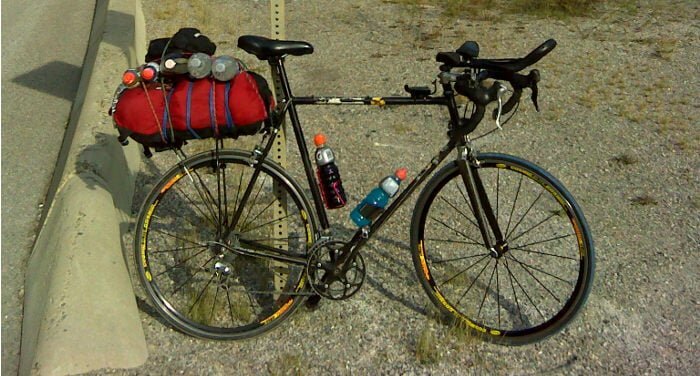 I had a bicycle that was – as I quote a bicycle enthusiastic friend – “good enough”, panniers, tent, sleeping bag and a million more things I wanted to have with. Even though I had four panniers, I didn’t have enough space. I was totally overwhelmed. And I was scared. I was totally out of my comfort zone. I would travel on a bicycle. I would wild camp. I would travel in rural China. None of this had I ever done before. I actually didn’t even know yet how to fix a tire. I had a rough idea, but nothing more. All these questions where spinning in my head. I was stressed out. How would I manage? How would I survive? I didn’t speak any mandarin and realized I could not take all the things I wanted to. Like the three shampoo bottles I wanted to have with me. What if I ran out of shampoo? I wasn’t able to set the right priorities. I was a mess. If cell phones have made the newer generations lazy, the older age group has decided to make up for lost time during their youth. 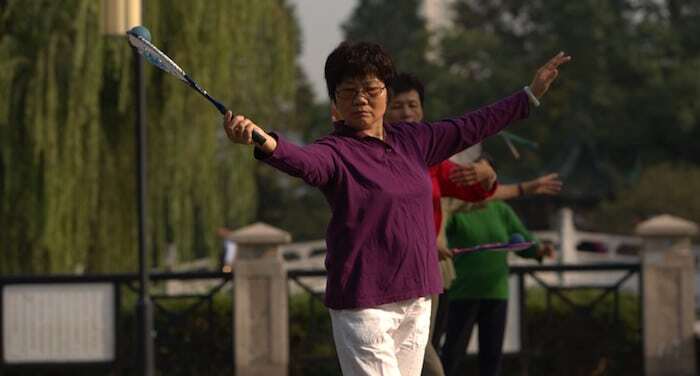 Chinese medicine recommends it, so a good Chinese person follows through: the need to 锻炼身体 (duanlian shenti), or physical exercise, keeping oneself in shape. Whatever your movements or ability to continue may be, it doesn’t matter. 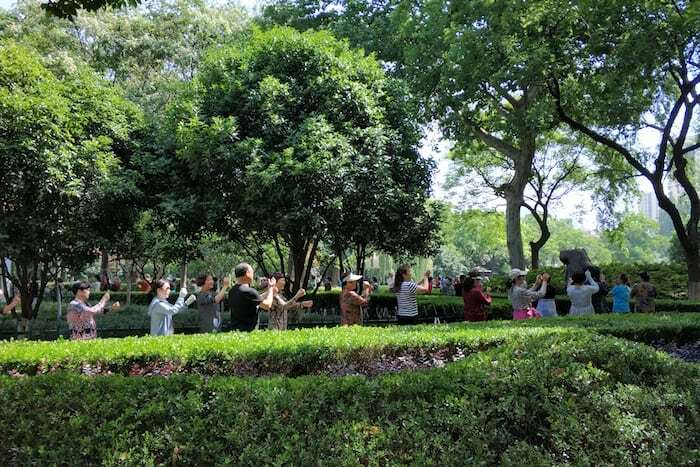 So long as you can get to the square or park every day and join in with one of the collective activities that are seen pretty much everywhere in China. The choice is between various sport classifications, for which even the least capable can find something they can do in their circumstances. As couples, in an orderly formation, with fans, scarves, or hands like flowers: dancing rigorously to music blasting at full volume from amplifiers stronger than those used by Iron Maiden, is something the Chinese really like. Little matters if you go in single file because there’s no space of movement, if you’re going down the sidewalk, dodging pillars; in front of the bank blocking access to the ATM; at the entrance to the metro the mob of the curious will even make you late. Wherever there’s a little space, dancing will break out! Since 2016, if you have a passport form one of the countries listed on this page, it’s possible to get a group Chinese visa directly online at China Visa Direct, a platform that claims to be authorized by the Ministry of Public Safety of the People’s Republic of China. This means that you may get a group visa without having to go to the consulate or mail your passport. How can I get a Chinese visa online? How much does an online visa cost? Can I trust China Visa Direct? When should I apply for the visa? When and how will I get my visa? Can I require an online visa if I travel alone? How long does my online visa last? You won’t have to go to the consulate or mail your passport, saving time and worry about losing your precious document. For four years I’ve regularly found myself in China for long or short periods, and like anyone in China for study or work, I try to tour the country as much as possible. Many times the biggest problem when planning travel in China is booking a train ticket, and not just because of the high number of people traveling back home or for a relaxing weekend, but also because of the ticket booking system that’s difficult for us foreigners (and I believe for the Chinese as well). 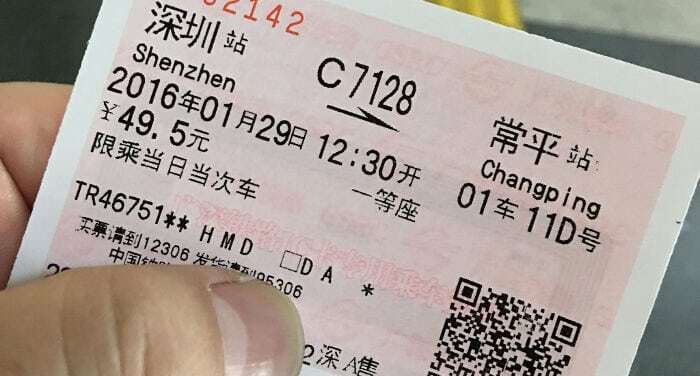 In the past I had to give up traveling (or pick secondary destinations), but I finally managed to discover a fantastic way that sometimes can get you a ticket that you’ve already passed on; this method is called Bupiao (补票). 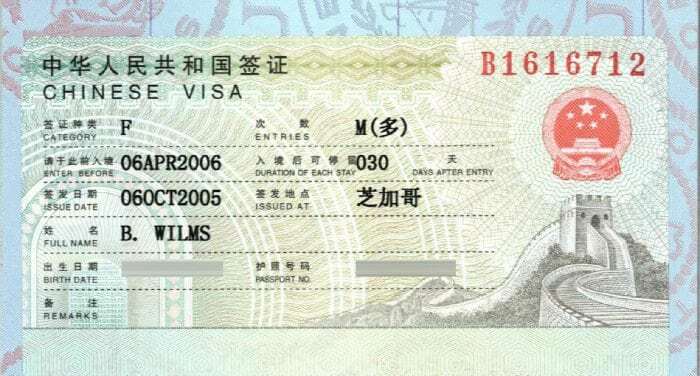 Chinese Visa for Visitors: Shall I Apply for a Q, S or L Visa? More than one year ago, we published the first version of our comprehensive guide for obtaining a Chinese Visa (which we update every year). Since then we received hundreds of questions and suggestions for improving it (thousands, if you consider the Spanish and Italian version of this website). We actualized the article several times according to the feedback we received and the new laws that ruled out. However, it seems that there is still a point that isn’t clear at all. We’ve received and published this article written by Camilla Fatticcioni, author of the blog “Per Quel Che Ne So Io“. I’ve always been fascinated by the stories of “Il Milione” by Marco Polo, about his adventures along the historic Silk Road that crosses all of Asia all the way to China, a country which at that time was so far off and unknown to Westerners that only a few legends were known about it. Never in my life would I have believed that I would be living in this place that represented the main destination along this long road that merchants have been traveling for centuries, often risking their lives. I lived for a year in the city of Lanzhou, chief city of the Gansu region, and presently a growing metropolis: today skyscrapers sprout like mushrooms along the banks of the Yellow River, the main river of northern China that a long time ago was the mythical site of those legendary stories that were told along the Silk Road. Do you have to send money to China, perhaps a travel agency, a Chinese school, or your supplier, but your bank asks for absurd commissions and tells you that it will take more than 5 working days? Keep reading this guide to understand how to save time and money by using TransferWise! What service should I use to save money on bank commissions? At the moment we can’t help but recommend TranserWise, since we’ve been using it for years – with savings we never thought possible, – both for our own private international expenses as well as for our business. 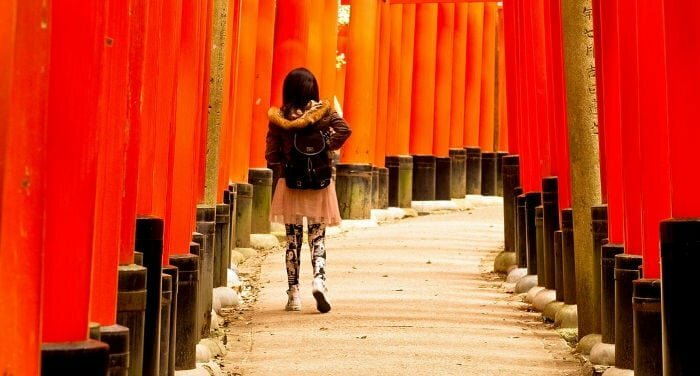 Do you think about traveling the world – and especially Asia – solo? As a female? Are you already doing it? Are you worried by all these questions that friends and family members ask about the dangers of the world might be true, and that it’s not safe to travel solo? I’ve been there. I did that. And I really recommend it! Do it! It’s the most amazing thing you can do. There are choice benefits to residing or exploring the Guangdong province of southwestern China. It could be the fool-proof access to Hong Kong and Macau territories, the subtropical climate, or the pleasures of metropolises such as Guangzhou and Shenzhen. However, those common reasons are weakened after experiencing the beauty of Huizhou. 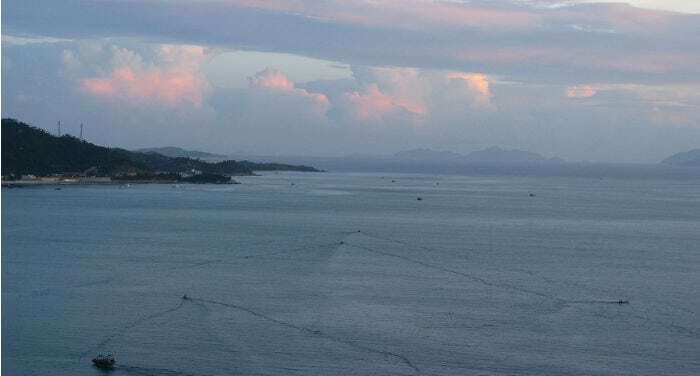 Nestled along the coast of South China Sea this beach city is neighbor to Hong Kong and Shenzhen. With daily access via train and bus from Guangzhou, Shenzhen and Hong Kong there’s no reason to not visit this haven. The bus is the most efficient and direct way to travel to Huizhou. If you’re leaving from major cities such as Shenzhen, Hong Kong, or Guangzhou, there are charters located throughout the city. If in Shenzhen or Hong Kong, there’s slight advantage with many daily charters available at the Shenzhen Airport, Hung Hom Hong Kong train station and local hotels throughout the city. If leaving from Guangzhou, there are travel agencies can that book accommodation and travel to Huizhou, with picks up at two major locations to ease travel difficulties. You can also reach Huizhou by train. 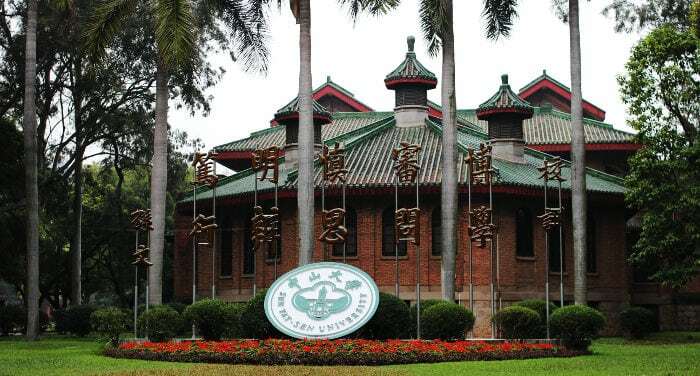 There are two train stations in the city: Huizhou Railway and Huizhou South Railway. These train stations don’t put you beachside but they are only 45-min drive away from from your waterfront getaway. However, let’s say if you want to stay in the city-center, then the train is for you. 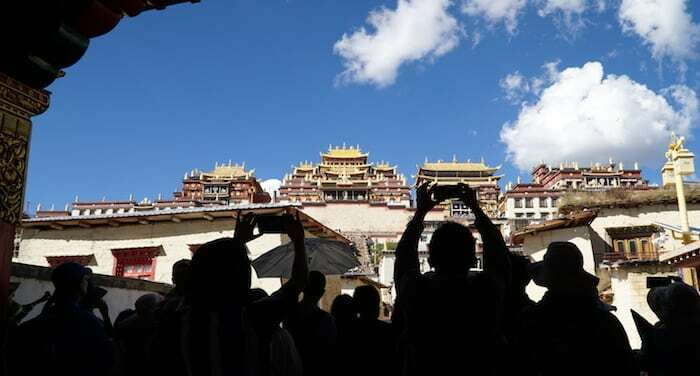 Perched on the slopes of the Himalayas at an altitude of over 3.000 mt, at the most northern point of the multi-ethnic region of Yunnan, as well as the crossroads of people with an extraordinary folklore and the entrance gate to Tibet: this is the city of Zhongdian, better known as Shangri-la. It is the chief city of the (majority) Tibetan prefecture of Diqing. The history of this name is not the history of the place. Or better yet, it became so. This is where it would be really appropriate to start with “Once upon a time”, yes: once upon a time there was the writer James Hilton and his novel Lost Horizon ; and then there was the director, the famous Frank Capra and his masterpiece of the same name. The story tells about a perfect city, wrapped up in and well protected by the Himalayas, with a civilization that secretly lived in harmony hidden away from the greed and selfishness of the modern world. Only the story’s protagonist came to fully understand the community’s mission. China has become not just an economic, but also a Sports superpower. According to Daxue Consulting, China is a huge sport market. Some Chinese athletes like Yao Min (姚明), Li Na (李娜) o Lin Dan (林丹) are popular around the globe and represent different sports brands. 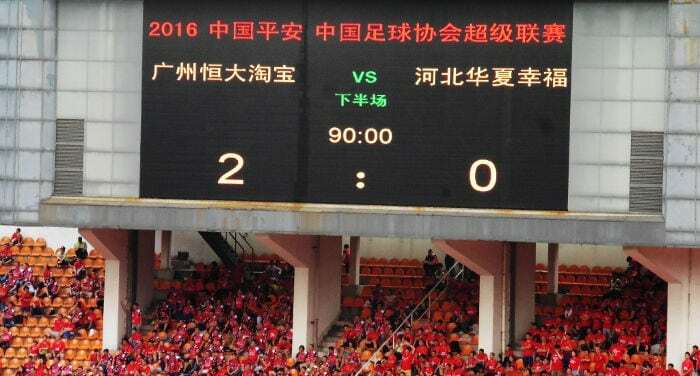 Also, sports in China receive great support from the government. According to the Telegraph, China wants to complete a transition from a big country to a strong nation in sports. The purpose is to have one third of population (or 435 million people) to do physical exercises by 2020. Obviously, it is a very ambitious purpose. But have you ever thought what sports do Chinese people like? Let’s have a closer look at most popular sports in China! 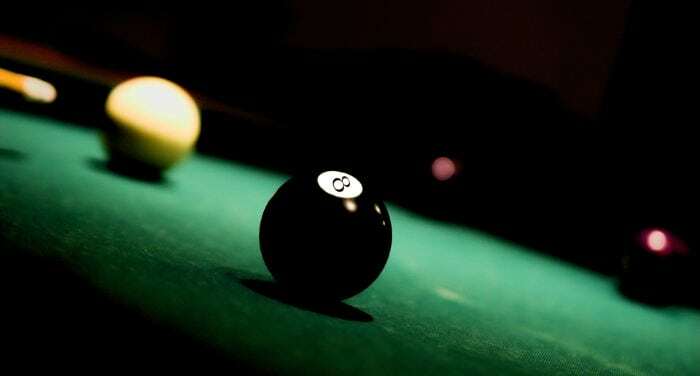 Table tennis once considered as a “cheap” sport with no need for spacious facilities, has been declared by Chairman Mao as a Chinese national sport. It is also a national pride: 6 gold medals were won at London Olympics (2012) and a total sweep was completed by Chinese national team in Rio de Janeiro (2016). In China you can see tables for ping-pong in university campuses, local parks and yards. This sport does not require expensive equipment or to be very athletic. Come to China and give it a try to play with locals! The capital of Hubei Province (湖北) is Wuhan (武汉). The abbreviated name for Hubei Province is 鄂 (E), a character mostly used on car license plates. 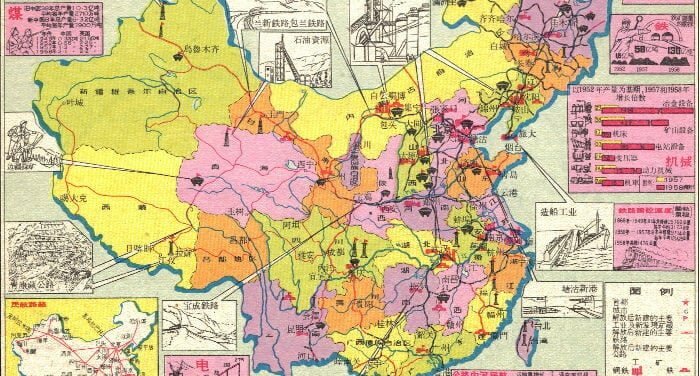 The presence of the character 北 (bei) “north” shouldn’t fool you, since Hubei is a province in central China. 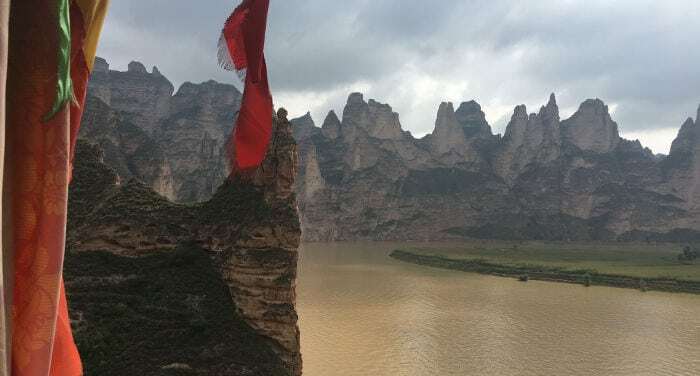 The name comes from the fact that it’s located north of the large and deep Dongting Lake (洞庭), just like Hunan (湖南) because, as opposed to Hubei, it’s located south of Dongting Lake. On one shore of Dongting Lake there’s the famous Yueyang Lou (岳阳楼), “Yueuang Tower”. Note too that the really ancient State of Chu (楚) is located in Hubei. Some time ago, the general image of China was a place full of lakes, rivers, mountains, forests, animals, Chinese with straw hats on board little boats, and so on. Well, Hubei is certainly one of the most fertile and lush Chinese provinces, thanks to the countless rivers and lakes to be found there. 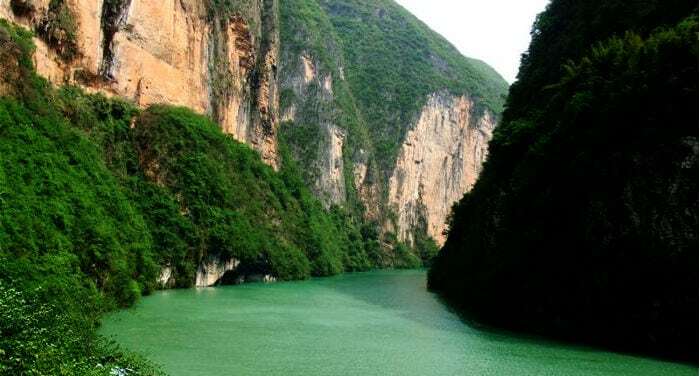 The most important river that goes through Hubei is Changjiang (长江), the “Long River”, known in the West as the Yangzi or, Yangtze depending on the old phonetic transcription from Wade-Giles. Although the literal translation of Changjiang is “Long River”, it’s conventionally called “Blue River” because there are clay-like substances present that allows it to reflect the blue of the sky like a mirror. The Changjiang is the longest river in Asia, and the third longest in the world, surpassed only by the Amazon and Nile Rivers. China is always making the news. A large number of foreign countries are turning their focus to the Asian giant in different spheres: the economy, politics, trade, tourism, new business opportunities… and fashion is not an exception to this. For many years there have been preconceived notions around design and fashion from China, associating its designs with poor quality clothing, wholesale purchasing and sales and knockoffs. 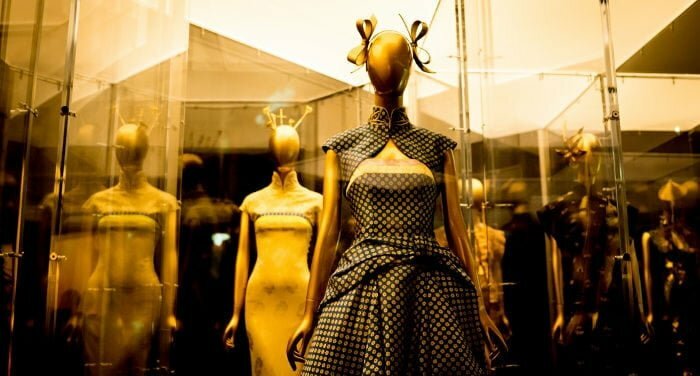 In this article, you will discover why the world of fashion is changing in China and how the trends of Chinese consumers have changed. In addition, we will go over the most important fashion centers in Hong Kong. How has the mentality of Chinese society changed with respect to fashion? Chinese society is spending and investing in fashion. 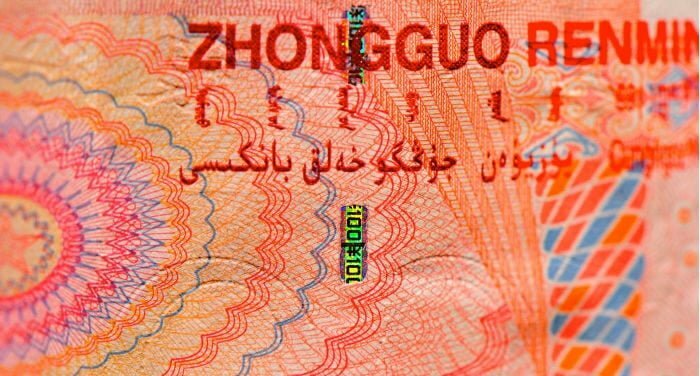 The purchasing power of Chinese citizens has been changing over the past years. The trend of purchasing better quality articles has also materialized in the fashion sector, in which originality, customization and looking for unique and distinct outfits are dominant. The luxury sector has exploded: it doesn’t matter how much an outfit costs; if it’s high-quality and different, people will pay the price. Click here to buy Chinese tea directly from China! “Rather go without salt for three days than without tea for a single day,” Chinese Proverb. I’m in love with Chinese tea. I drink it every day and every time I come back to Europe I bring some nice tea packages to my family and friends. Most important, I buy a ton of tea for myself. 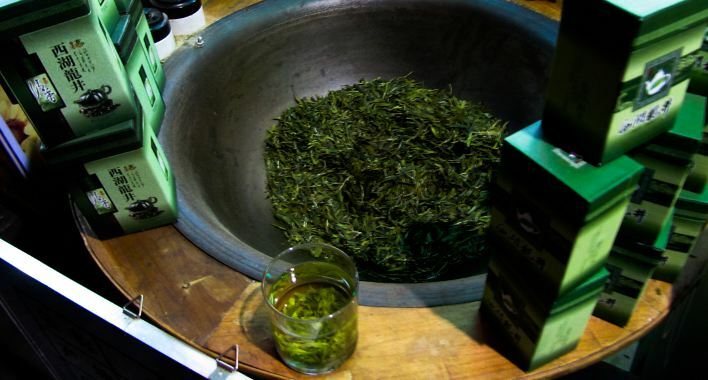 My favorite Chinese tea is the Long Jing, the green tea produced close to the West Lake of Hangzhou. I also like flower tea and Pu’er, the fermented tea from Yunnan Province. If you do a quick search on the internet you’ll find a lot of information about Chinese tea. 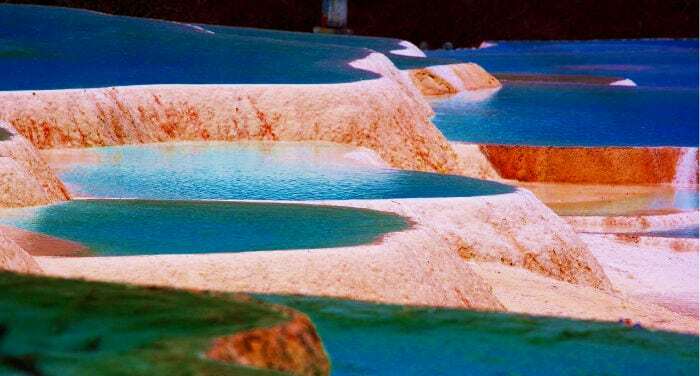 Huanglong (黄龙) is one of the most beautiful natural landscapes in China. Located in the north of the Sichuan province 380 km from Chengdu, it is without a doubt an essential visit in Western China. The main attraction is the chain of natural pools filled with completely transparent water that run along the Yellow Dragon Valley. These pools offer a unique spectacle of turquoise terraces surrounded by a dense forest. In addition to the beautiful pools, in the nature park, you will find waterfalls and hot springs. In addition, among its fauna are giant panda bears and golden snub-nosed monkeys, a primate endemic to China that is characterized by its golden coat and bluish face. However, the latter are not easy to see. This beautiful valley surrounded by snow-covered peaks has been a UNESCO World Heritage Site since 1992. Over the past decade and thanks to the huge popularity of the nearby Jiuzhaigou Valley, tourism has developed greatly, eliminating many of the obstacles that made this visit a real odyssey not long ago. Note: since the earthquake on August 8, 2017, Jiuzhaigou Park will remain closed until the area is completely safe, but the damages in Huanglong were minimal, and it was reopened to the public a few days afterwards. In this article you’ll find a collection of itineraries for visiting China. Keep in mind that China is extremely vast and diverse, so trying to visit it all in just a few weeks makes no sense. This is why we have divided the itineraries into three main sections; something for those planning a trip of 6-8 days, those planning to stay 12-15 days or, why not, 18-21 days. For each section, we have also specified if it is a “historic” itinerary (or designed for visiting mainly sites of archaeological interest, such as Xi’an for example), “natural” (or designed for those who want to be immersed in nature, such as Jiuzhaigou), or “contemporary” (or designed for visiting modern realities such as Shenzhen or recurring festivals, like the Ice and Snow Sculpture Festival of Harbin). Moreover, for each itinerary we have also added a difficulty rating based on the necessary movements to complete it and the best time to visit each zone or province. Guangdong is the region that best represents Chinese history in recent centuries: it took on the role of a protagonist during the arrival of Europeans in China, it was the base in 1911 where the revolutionary party of Sun Yatsen saw the disintegration of the longest empire in history, was the headquarters of both the nationalist and communist parties; and it was actually the economic powerhouse of the region that launched the conditions for the Chinese economic miracle and for the exponential growth of the country. Among the first five special economic zones (FTZ) it was founded along the coast of Guangdong, and the trip to the region from then president Deng Xiaoping held in 1992 definitively ushered in the beginning of a new epoch for the People’s Republic of China.